2017 was such an exciting year for BrokerBabe and we couldn’t be more motivated to keep the ball rolling in the New Year. That’s why we’re welcoming 2018 with a bang…and a party! 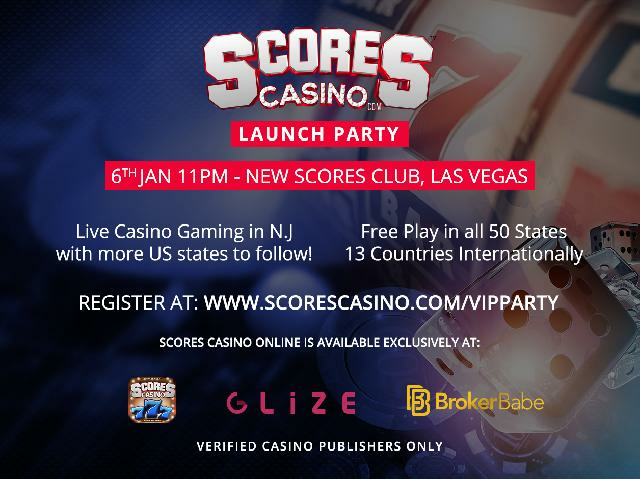 The Scores Casino Launch Party is the hot spot for verified Casino Publishers this coming weekend in Vegas. 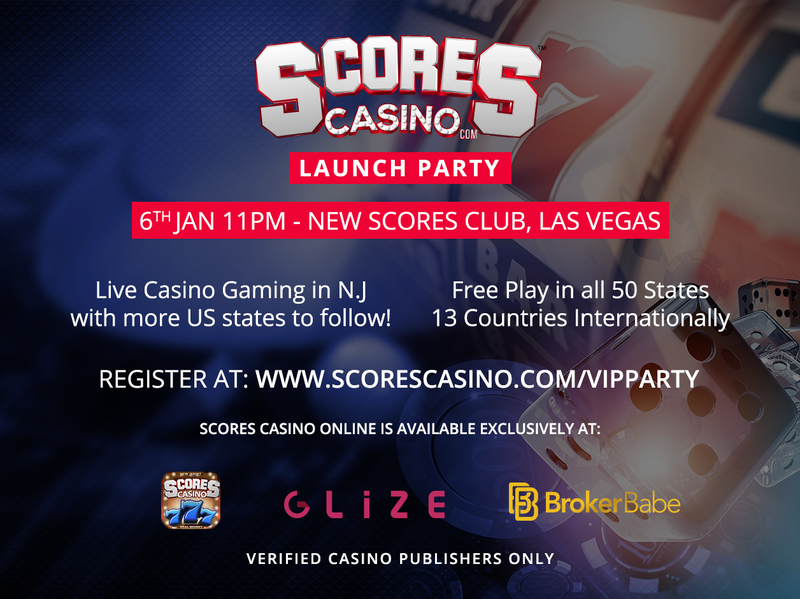 Setting the scene for amazing business opportunities during the Affiliate Summit West event next week, the party will kick off the new exclusivity partnership between Scores Casino, Brokerbabe and Glize. Scores Casino is all about Live Casino Gaming in New Jersey, with more US States to follow. Featuring all popular table games, slots and sports betting coming soon, they offer Free Play in all 50 US States, in addition to 13 countries internationally! Real Money Online Gaming and Social Casino App Installs will definitely be the buzzwords for 2018 as the offers are en route to our Marketplace. Stay tuned for when they go live, but in the meantime register to party like a rock star!